Close to disney - easy drive. Hotel provides shuttle but didn't use. Pool area very nice and relaxing. Room clean and nice if a little dated. All round a good hotel / base for exploring the area. Very nice locatiion with everything you need, pools, restaurant,.gym...etc Breakfast not great but plenty olacea around to eat anytime of the day. Staff very.helpful and nice When busy it is hard to sleep as not good insulation. Top notch hotel in all regards. Don't miss dining in the Bull and Bear one of the inhouse restaurants. Great golf course attached to the hotel. So, you're thinking about going to Orlando? If you'd like to find accommodation that's close to the sights, you can enter your holiday dates and then use the filters beside your hotel search results to find somewhere to stay near the area's attractions such as Universal Studios Florida™, SeaWorld® Orlando and Walt Disney World®. 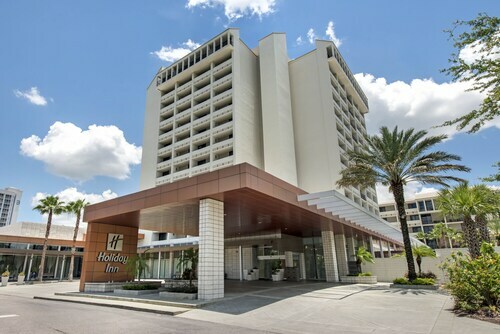 You can choose among 8989 Orlando hotels and accommodation choices to find a place you'd like to stay. 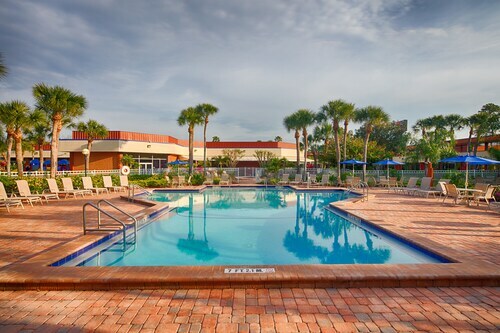 When you're thinking about where you'd like to stay in Orlando, you can easily and quickly search ebookers for hotels offering services such as high-speed Internet, a swimming pool or free airport transport. You can take advantage of the filters to narrow down your hotel search, so you can get the services that are important to you, such as an in-room kitchen or air conditioning. When arranging your Orlando getaway, you can also use ebookers to search for a convenient flight into Orlando, FL (MCO-Orlando Intl.) Airport. You can narrow down your search by number of stops, airline or time of departure to find the one that'll meet your needs. When is the Best Time to Explore Orlando? If you're curious when is the best time of year to explore Orlando, you may find this information about seasonal weather helpful when you are organising your getaway. The warmest months in Orlando are typically July and August, whereas the coldest months are usually January and December. The months with the most rain are June and August, whereas November and April have the least. From January to March, the average daytime temperature is 27°C and at night it is 10°C. Seasonal average rainfall is 238 mm. If you visit between April and June, you can expect an average temp of 33°C during the day and 15°C at night. Average rainfall during this season is 369 mm. The daytime average temp from July to September is 34°C and the nighttime average is 22°C. Average precipitation for this season is 532 mm. Between October and December, the average temp during the day is 31°C and 10°C at night. Seasonal average rain is 212 mm. The average annual rainfall in Orlando is 1351 mm. 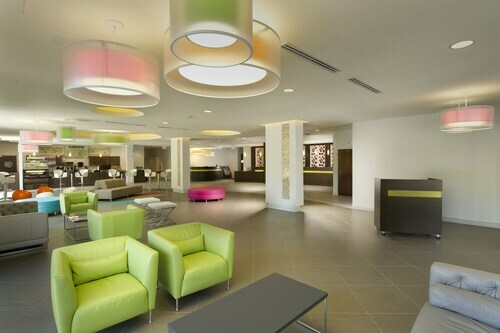 Hotel is scheduled for remodelling in the spring of 2019 is suitably located about 10 minutes drive from the airport. Easy checkin and pleasant staff. Great place to staff. Well located for Disney springs and the parks. 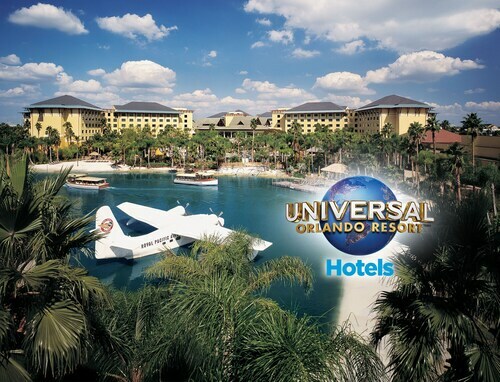 Highly recommended to stay when going to any of the Universal Studios parks. Advantages: 1)it supplies the Fast Track access for x+1 days of parks access (x = days of hotel stay), 2)You can convert the Ebookers park ticket voucher to the actual park ticket directly at the hotel avoiding the park queues, 3)early access to the parks one hour before the main entrance starts, 4)very close to the parks (on foot or by a small boat). Excellent hote with fantastic facilities! We only stayed for 1 night but we will definitely return in the future and recommend to others. Staff were very friendly and helpful. 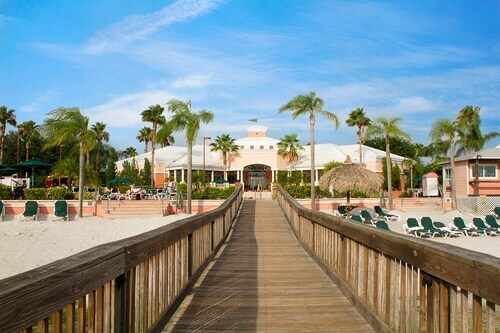 Good location for Disney Springs and free bus service to Disney parks etc.